These mouth watering Fiesta Sun silky smooth lip balms work to moisturise and protect your lips, nose and even tattoos. Available in three popular flavours. 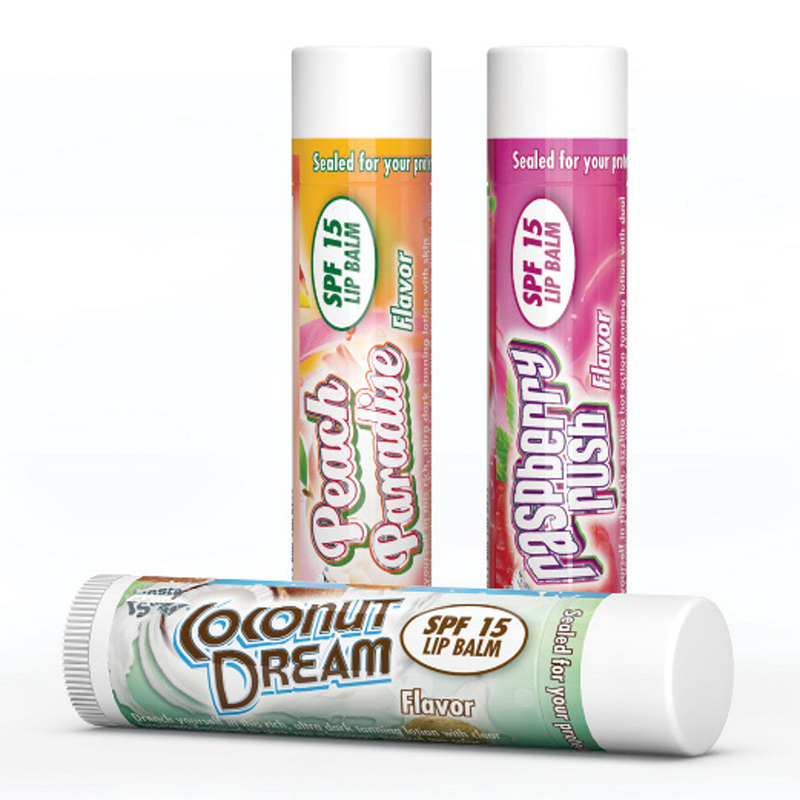 A mouth-watering, silky smooth lip balm. Moisturises and protects your lips, nose and even tattoos. An innovative lip balm formula with SPF 15. Assures the freshest smelling experience ever. Great for indoor and outdoor tanning. This review applies to the Coconut Dream version.